On June 1st Dilma Rousseff, the President of Brazil, controversially gave permission for the company Norte Energia to begin building a hydroelectric dam on the Xingu river in the northern state of Para. This follows the granting of a provisional licence in January by the previous president, Lula da Silva, to begin land clearance and road construction, and years of court cases. A total of eleven cases have been filed against the project by the Federal Public Prosecutor, over various irregularities, the last being overturned in February. The Belo Monte dam complex will in fact consist of 3 dams. The first, Pimental Dam, will be 36 metres tall, over 6 kilometres long, and will create a lake with a surface area of 129 square miles. This will supply one power station. 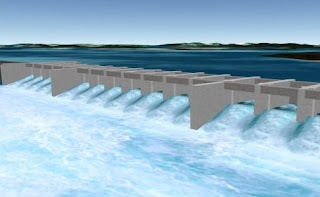 Two canals will channel water down to another reservoir created by the Belo Monte dam, which will supply another power plant. The Belo Monte dam will be 90 metres tall but only 3.5 kilometres wide, and create a lake of 42 square miles. The whole complex is expected to cost 16 billion US$, with power cables costing a further US$ 2 billion. For good or ill this is going to affect a lot of people. On the positive side, an immense amount of energy will be generated, the Belo Monte dam is the third largest hydroelectric project in the world after the Three Gorges Dam in China and the Itaipu dam between Brazil and Paraguay. Itaipu already supplies 19% of Brazil's energy needs and virtually all of Paraguay's. 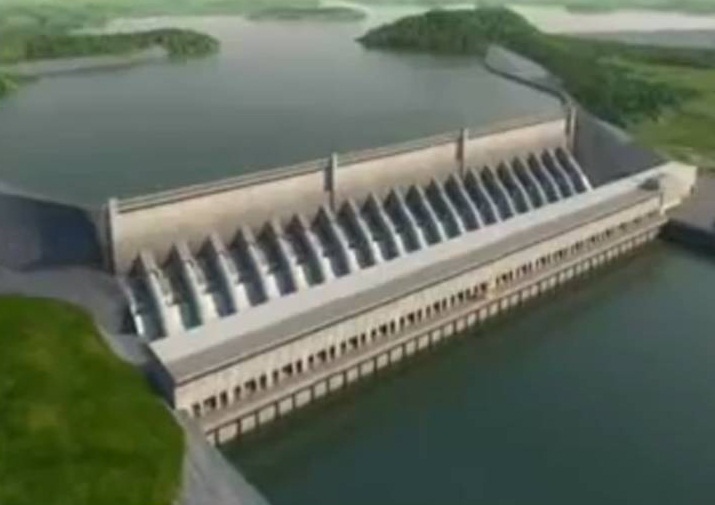 The planned capacity of Belo Monte is unclear, as we will see below, but it is claimed by EletroBras, the state electricity company to at least supply the state of Para (population 7.5 million). This of course is all power that would otherwise have to generated by fossil fuels or nuclear energy. Once built, the running costs will be minimal, and electricity will be provided continuously (well, again, see below) for over 50 years. It's not true that will be no carbon emissions. Studies of other Brazilian dams have found that as the water level falls and rises every year, vegetation flourishes in the tropical climate, only to be submerged and decay, releasing methane. But the amount is probably much less than an equivalent coal fired power station. The location, with a natural drop in elevation, allows the use of a relatively low wall, and thus smaller reservoir, to generate power requiring a much bigger reservoir elsewhere. Thus, the argument goes, if you are going to have a dam, this is the place to have it. Approximately 18,000 jobs will be created by the construction project, and another 25,000 indirectly, although of course most of these will cease when construction is finished. 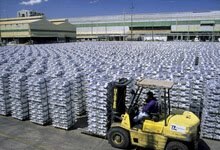 More long term will be aluminium processing plants powered by the dam, with a view to export to China. The planned Brazilian-Chinese bauxite processing plant at Barcarena, Para, will be the largest in the world. There are also existing Japanese and American plants which will be expanded. This gives Brazil a much higher value export product than simple ore. The disadvantages can be divided into social, practical and environmental. For a start over 20,000 people will be directly displaced. These people will need to be resettled. Then there are the people downstream, mainly from the Juruna and Arara tribes. As they will not be directly affected they have not been offered resettlement, but as the river is a major food supply and transport network, falling levels will possibly cause displacement anyway. This will probably be exasapated by increased levels of water borne diseases from more stagnant pools. In fact, the vast majority affected by this project will be indigenous peoples, and this has aroused a lot of resentment, and threats of violence. In contrast, an estimated 100,000 migrants from other parts of Brazil will enter the area. It is not clear what infrastructure will be in place to support them. A number of studies have cast doubt on the economic viability of the project. The ex-President of Sapesp, the Sao Paulo state water company , has claimed it will be one of the most inefficient hydroelectric power projects in Brazilian history. Mainly because of the seasonal nature of water supply via the Xingu river, so that it will be at 30% capacity or less from June to October. Actually there is a solution to that - another dam. Although the intention is vehemently denied, a further dam at Altamira up stream would create a 2,000 sq mile lake and a year round water supply, making the whole project much more viable. It would also displace another estimated 25,000 people. The long term intention to build another dam would be easier to dismiss if the turbine capacity of the planned power stations were not considerably more than the likely water flow. Construction of the dam required an environmental licence from IBAMA, the Brazilian environmental agency, and this was granted in February 2010. Controversially. Two IBAMA presidents and at least two senior officials have resigned claiming undue government pressure to approve the licence. Even now, the licence is technically provisional with many requirements yet to be met before a full licence can be granted, but that is moot as a judge has ruled that work can commence without a full licence. Large amounts of forest will inevitably be lost. One concern is the loss of biodiversity as a number of species are found only within the area affected by the dam, and it is extremely unlikely they would survive the drying out and/or flooding of their habitats. This apparently includes the Plant eating piranha Ossubtus xinguense (actually it's omnivorous and will eat worms and shrimps) and the Xingu poison dart frog Allobates crombie, amongst others. What is certain is that it is not just the area under the construction that will be affected. The influx of tens of thousands of migrants will consume a huge area of forest for building of homes and roads, and then farm land to support them.